VGo increases productivity and effectiveness while lowering costs by enabling a person to get to a location instantly and easily. VGo is not designed as a replacement for in-person interaction but rather as the next best alternative to “being” in the workplace. VGo also eliminates the deficiencies associated with other video solutions that are locked to a TV or computer monitor by providing 100% remote controlled mobility. 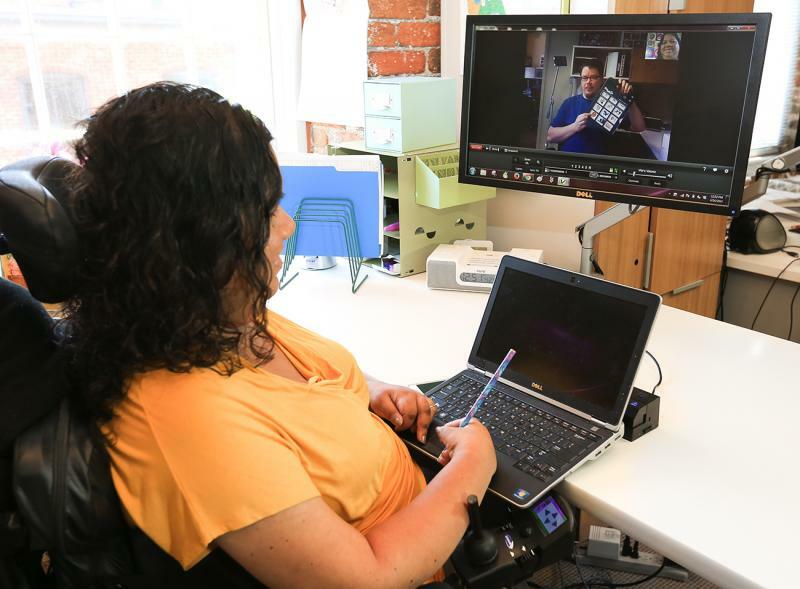 In addition to "being" at work from home, VGo can help people who can get to the workplace, but who cannot practically move about the facility or campus. 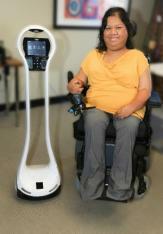 A VGo can be used to enable a person to move around in one part of the facility while they are physically in another. "There is still an ongoing struggle to eradicate the perception of people with disabilities as invaluable and less than hard-working employees. Often, the words "professional" and "disability" are rarely used in the same sentence. It's commonplace for weaknesses and obstacles to be seen rather than strengths and accomplishments"
"VGo is helping to break down these barriers! When I use VGo, I am able to work at an alternate worksite while still being able to connect with my team, stay up-to-date with my work and provide services to Georgians with disabilities. VGo is helping me in ways that I never thought was possible! This technology is transforming negative perceptions towards people with disabilities and giving hope to those that need it most."